YS-X4 Autopilot system for multi-rotor is specially designed for Hobbyist. It continues the Innovation/Practicality/Convenience style of products of Zero UAV , applied to brand-new design of integrating IMU into one unified box with MC, possessing fashionable appearance with metal texture, comes with free navigation/ click & go/target lock etc. 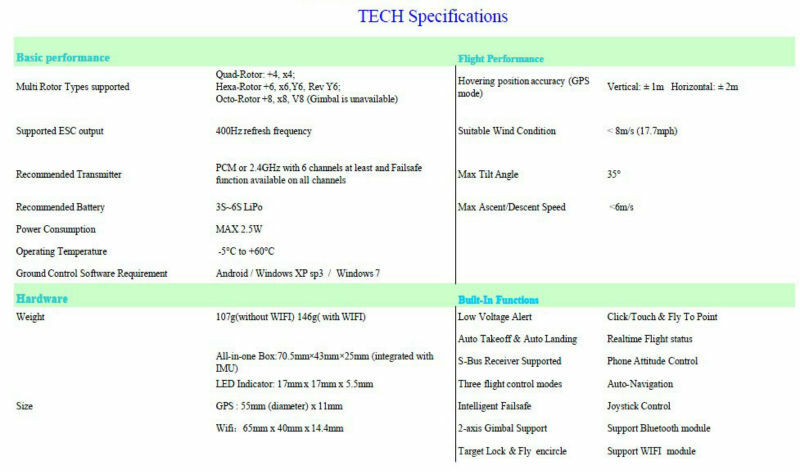 supper cool features, meanwhile it supports ground station like Android Phone/Tablet/PC and various platforms like Quad/Hexa/Octo etc. 9 types of multi-rotor, brings you extremely different flying experience.